Located in Apex, NC. We are a comfortable, modern and family-friendly dental office and we are passionate about providing our patients with an amazing dental experience. Hi. I am Dr. Rylan J. Hansen, but feel free to call me Dr. Hansen, Dr. H., Rylan or even “Dancin Hansen.” Thank you so much for visiting and please allow me to take a moment to introduce myself. People are often surprised by the path I took to become a dentist. I grew up in Southern Idaho and Northern Utah where my parents raised me right…even if it wasn’t in the South. After high school I began working for the family business as an apprentice electrician. While I enjoyed working with my hands and with my family, I had a strong desire for other career paths. After moving to my wife, Rachael’s, home state of NC, I attended University of North Carolina for my undergraduate studies in biology. I quickly realized I wanted to pursue a career in health care and I began to see how the field of dentistry perfectly blended my desire to work with my hands and provide health care to patients. I completed my Doctorate of Dental Surgery at the University of North Carolina School of Dentistry in Chapel Hill. Hansen Dentistry is an Apex, NC Family and Cosmetic Dental office whose primary goal is to make dental care more accessible and enjoyable for patients. 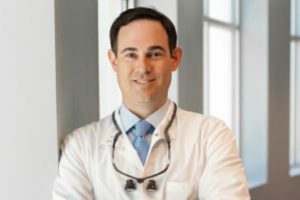 Dr. Rylan J. Hansen, DDS, PA and his amazing team are committed to removing barriers that often make it difficult for patients seek the dental treatment they need, whether that is a routine dental check up or an extensive treatment plan. Dr. Hansen brings with him the latest in technology, such as quality same-day CEREC crowns, root canals, INVISALIGN and more. We love treating kids ages 1 to 101. Dr. Hansen is a big kid at heart, which is part of the reason that kids love him. Our dental hygienist, Rachael, worked for many years in a pediatric dental office and has lots of experience working with children. Not to mention they have four children of their own! Just like most things in life, it is more ideal to prevent a problem than it is to fix one. At Hansen Dentistry, the most important form of Preventative Dentistry we offer is Patient Education. We want to make sure patients possess the knowledge that will empower them to take care of their teeth to the best of their ability. A dental crown is a cap that is placed on your tooth when there is not adequate tooth structure remaining to be able to support a traditional filling. Until recently, CEREC crowns and bridges took multiple dentist’s appointments and weeks of waiting for a lab to create the crown which meant having a temporary crown in the meantime. No one wants to have a dental emergency. But they can happen to the best of us. One minute you are biting into a sandwich and the next thing you know half of your tooth is in your hand. 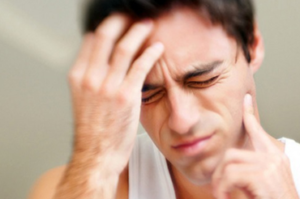 One minute a pain that was nagging but dull is suddenly keeping you up at night. People may wonder how “cosmetic dentistry” is different than “general dentistry”. Cosmetic Dentistry really just refers to many of the services you may already be familiar with, such as whitening, braces, tooth colored fillings, and more. 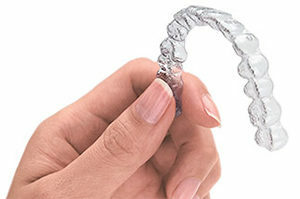 Invisalign is a form of orthodontics that uses clear plastic trays to gently and effectively straighten your teeth. The most common reason a root canal is indicated for a patient is when dental decay extends to the nerve of the tooth. This may present itself with or without pain. In either case, a root canal is critical in order to stop the progression of infection. A laser is an instrument that produces energy in the form of light. 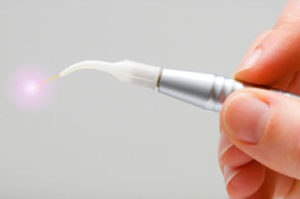 When a laser comes in contact with tissue can cut it or vaporize it. This modern application is effective in dentistry because it allows dentists to shape or remove tissue with phenomenal results. There are several types of radiographic images that can be taken of the head and neck. In our office, the three most common are bitewing, periapical, and panoramic radiographs. 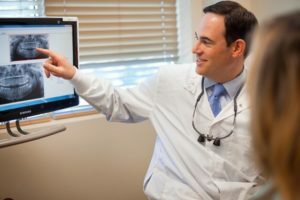 Bitewings allow Dr. Hansen to detect cavities developed between teeth that are not usually able to be detected clinically. Generally, we take four bitewings every year for one of the two comprehensive exams patients receive during their dental hygiene appointments. Oral surgery in the general practice setting most often refers to dental extractions, implant placements, and bone grafts. Many permanent molar and premolar teeth erupt with very prominent grooves which bacteria can enter but our toothbrush bristles cannot reach. As a result it creates the perfect breeding ground for the bacteria to multiply and dental decay to form. Got tea, coffee, or wine stains? Or have your teeth gotten dull over time? We can help you brighten your smile with our in-office or take home whitening kits. look forward to getting to know you and your family.